On this episode of Dugout Blues, before Jared and I recap the still-good Dodgers and the MLB Draft. The Dodgers are still good, somehow. Despite having approximately 3,500 injured starting pitchers, the Dodgers are still getting solid contributions from the rotation, led by the incredible Ross Stripling. He has been amazing and here’s hoping it continues! Walker Buehler has been great as well, but now he’s a little banged up. At present, Stripling might be the only starting pitcher who’s (near) 100 percent because Alex Wood is also dealing with a hamstring injury and Dennis Santana has a strained rotator cuff, which isn’t great. It’s not that much worse than the torn lat muscle, as it was initially diagnosed. Either way, not good. Caleb Ferguson was called upon to make his MLB debut last week, and it didn’t go well. He only retired five hitters and he’s clearly not ready for the majors yet. I’m surprised a guy like Manny Banuelos didn’t get the call before Ferguson if for no other reason than Ferguson is a legit prospect and needs more time in the minors. 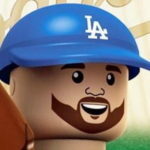 Who is good is Max Muncy. He has been nothing short of unbelievable, especially in the last month. He’s getting easier playing time because Justin Turner‘s wrist is still bugging him. Muncy and Matt Kemp are leading the offense, while Cody Bellinger finally looks like he’s turning things around. Joc Pederson is also producing, which will help make up for any pitching deficiencies, but that can’t be the game plan the rest of the season. There are internal options coming back soonish (Kenta Maeda, Rich Hill), and Clayton Kershaw will be back at some point, but we don’t know what version of him we’ll be getting. On the farm, Yusniel Diaz is still performing and he’s starting to make a believer out of more evaluators. Mitchell White is slowly getting back to pitching well again, while Gavin Lux is still playing well in High-A (T-shirt idea: ‘Do it in Double-A’) but there are a lot of other prospects who are struggling a bit: Dustin May, DJ Peters, Keibert Ruiz … just to name a few. We recap the draft and think we’re in agreement on the Dodgers’ first two picks: High risk, high reward. They went safer on the bats and riskier on the arms, which is kinda what you have to do with such a small bonus pool. There are also some interesting post-10th-round draftees who could help improve the overall standing of the class. To end, a solid Q&A session. Please keep those questions coming!